Day 3 of The Digit-al Dozen Does Colour Contrasts! 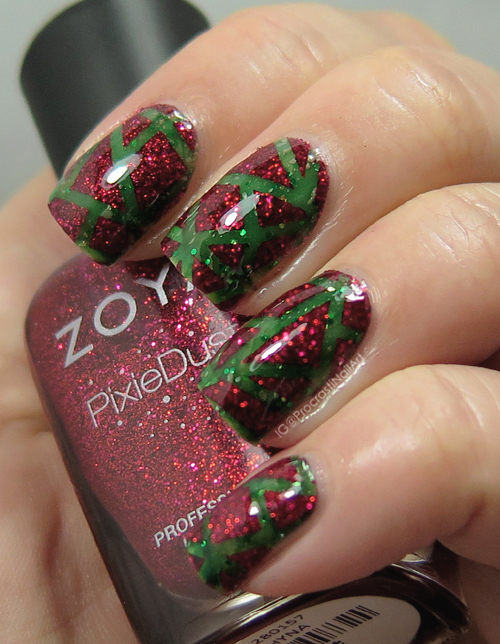 Today I'm going with a festive look that unintentionally brings to mind Christmas... But Christmas is awesome so who cares! To put this mani together I used some new decals I got sent by Born Pretty Store to try (which you can find here for $1.29), and I was SUPER happy with them! I peeled one of the guides off, placed it on my nail mat, painted on my red polish, and then removed/replaced/painted the same guide 4 more times. So I did this whole mani with just one of these guides! 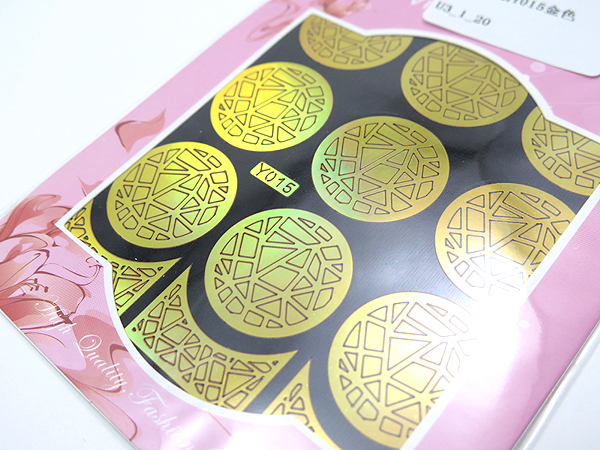 When they were dry I applied two layers of top coat to make them into decals and applied to the nails. I was super pleased about how much use I got out of just one guide because I have this weird fear of using things up and love when I can make things last a long time. Anyone else feel that way?? 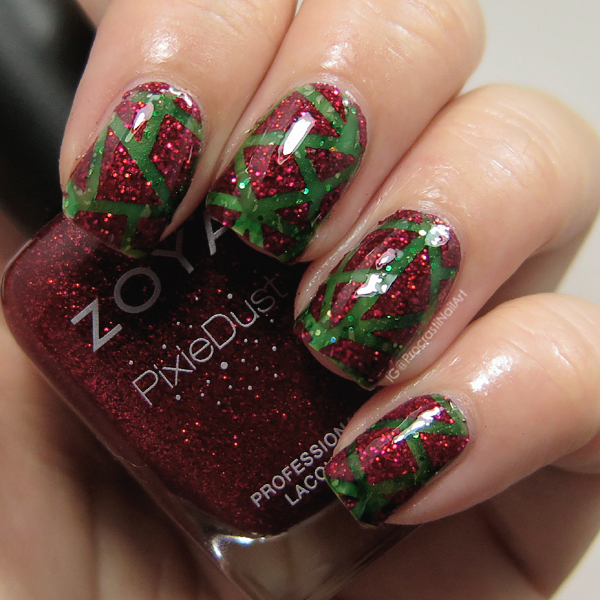 The base for this mani is a polish that has sat in my untrieds since January - Bliss Polish The Pay Off. It's a green jelly packed with green glitter, and I just used one coat to add colour without too much of the glitter. 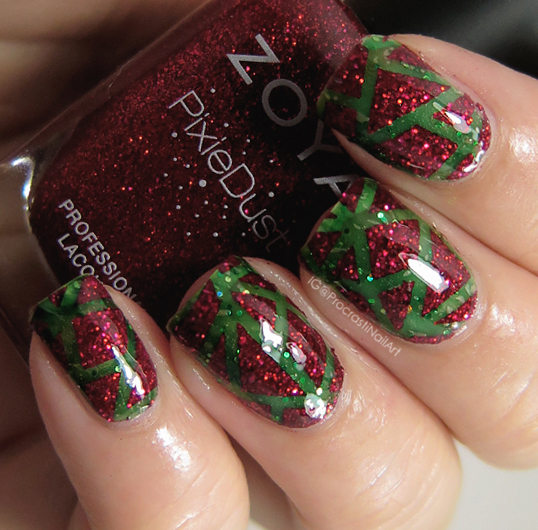 Over that I applied the decals I made with Zoya Chyna. My camera was acting up a bit when I took these pictures and my fingers came out weirdly glossy so I'm a little bummed about that because I really like this mani and wish the pics represented it better. :( Ah well. 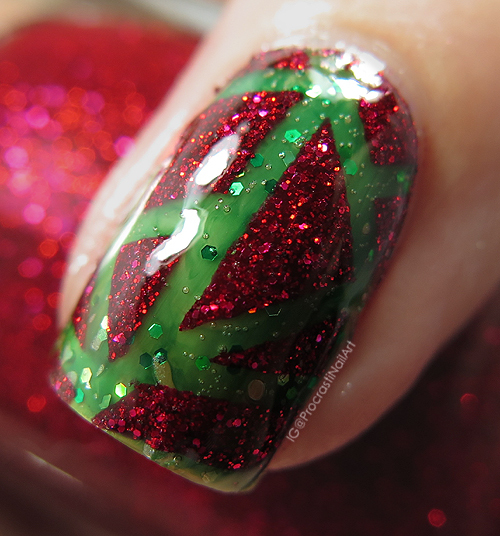 This is also DEFINITELY a mani I'm going to re-create when Christmas gets closer. It was so quick to put together and it's so striking! I'm telling you, those complementary and contrasting colours pack a punch even with the simplest of designs. :) Love it! Love these colors/finishes together! They look fabulous! The glitter jelly underneath from Bliss really gives a great look to these!